There are oh-so-many food additives in the grocery store these days. Ingredient labels are full of artificial ingredients. Thickeners are one of those highly processed additives used in highly processed foods (you see where I’m going with this, right?). Would you believe me if I told you that thickeners are often used to get a rich and creamy consistency without having to add a lot of fat? Yup! That's one of the main reasons for things like xanthan gum and carrageenan. I gave you some useful information on Wednesday. if you're already a label reader, that’s awesome. And if not, my previous post gives you a bunch of good reasons to start reading those labels (and making healthy meals from whole foods). 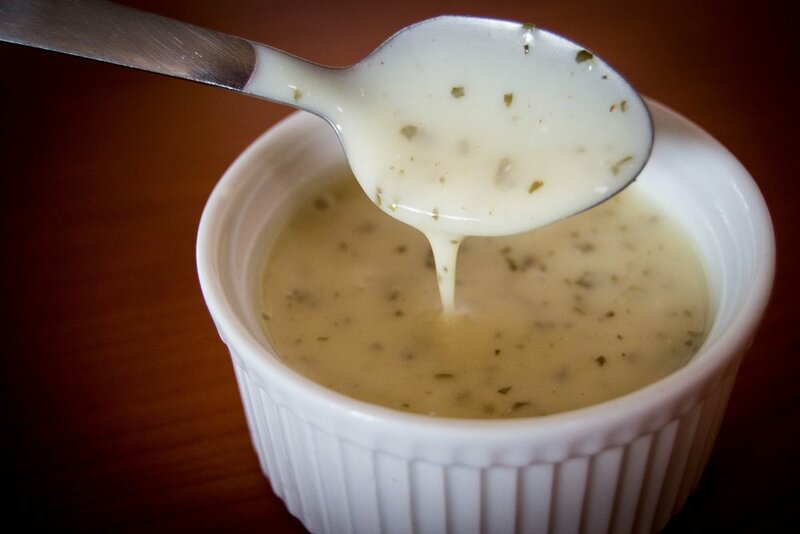 Try my newest (thickener-free) thick and creamy salad dressing and you will never go back to the bottled stuff! Tip: Add cilantro for additional flavour.